William Morrow & Company, 9780060823887, 334pp. 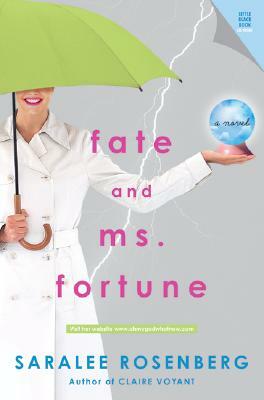 With the name Robyn Fortune, shouldn't luck be a sure thing? Instead, black clouds love me. All I did was show up at a family bar mitzvah and cue lightning . . . this huge storm blew in. If not for my friend Rachel, I would have chickened out. Instead, I went to his apartment, spotted an old photo, and realized it was HIM The boy I was mad for in college but never got to meet. And get this Turns out our paths had been crossing since birth. Coincidence or karma? Our finagling families wouldn't talk . . . until the day destiny sent me on a wild ride that became my long lost spiritual journey.